For a sleek, modern look go with The Manhattan. 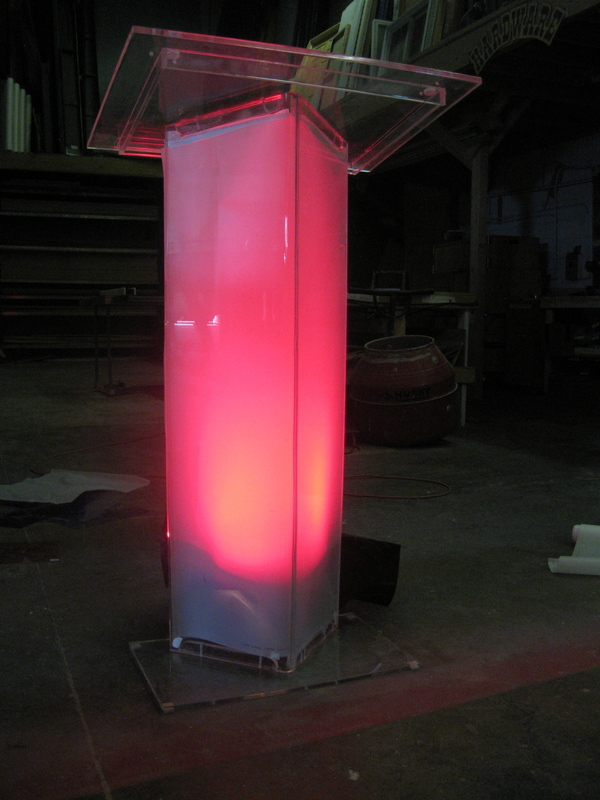 Clear acrylic is always an elegant choice, and our optional frosted insert allows a LED fixture to turn your lectern into a colorful spectacle. The two surface-mount mic jacks (optional) and an innovative discreet cable path mean you don’t have to ruin the clean look of this podium with gaffer's tape. With a large, 26x18 top and vertical surface for attaching signage, this lectern was designed in consultation with event professionals to provide features not found in other podiums on the market. Take a look at The Manhattan, then submit an RFP, or contact us today for a free rental or sales quote.